Over the last 6 months the OEPS team has been working closely with Scottish Union Learning (SUL) to explore the use of Open Educational Resources. Specifically we have been looking at the role that Union Learning Representatives (ULRs) might play in enabling the use of free and open online education materials. Readers of this blog may not be familiar with the role of a ULR so it is worth saying a little bit about them. Trade Unions (TU) see engagement with learning as an extension of their role representing their members. Trade Unions have a right to have a ULR in a workplace. Once selected and they have been through training the ULR has a functional statutory ability to survey learners needs, arrange training and support and liaise with the employer about learning. ULRs typically see their role as about reaching those learners who are hard to reach or target learners who are often neglected within staff development programmes. It is a complex role, and certainly a tension exists between ULRs providing training and support to people and the role of the employer to provide appropriate on the job training so that people can fulfil their role. For OEPS the opportunity to work with SUL started with the shared sense of wanting to reach out to those distanced from education and the recognition of a familiar pattern. Just like training in the workplace the benefits of free open online content tended to be accrued by the educational haves, the very people who employers tend to and society already has invested in anyway. We wanted to look at models of how we might broaden the social and economic base of who benefits from free open online learning. 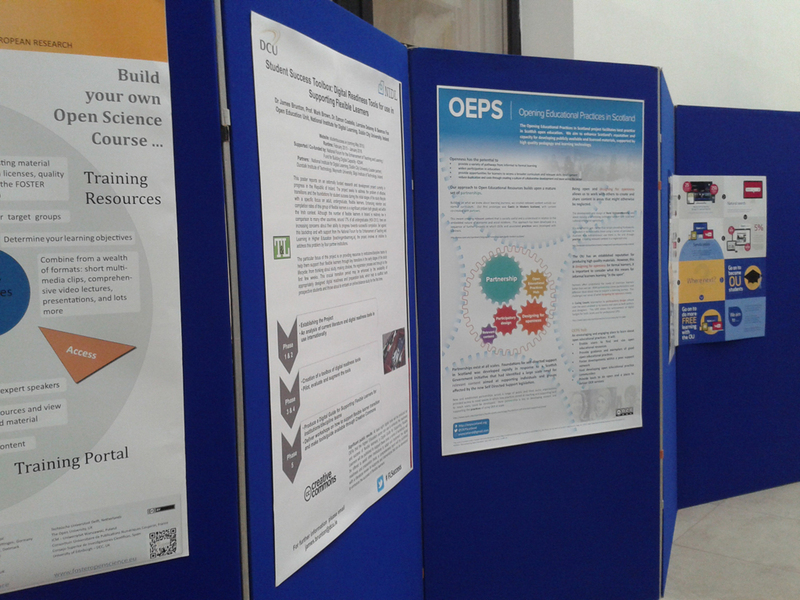 We had been to the SUL annual conference at the tail end of 2014and ran workshops on OEP and Open Badges. URLs had a general level of awareness of OEP, and we had detected a great deal of interest in the use of free and open materials, some fledgling approaches and some trepidation. Based on the feedback from these sessions it seemed that potential barriers to use were partly about content, and like many in the widening participation (WP) community we wondered whether the style and subjects matched the needs of those distanced from education. 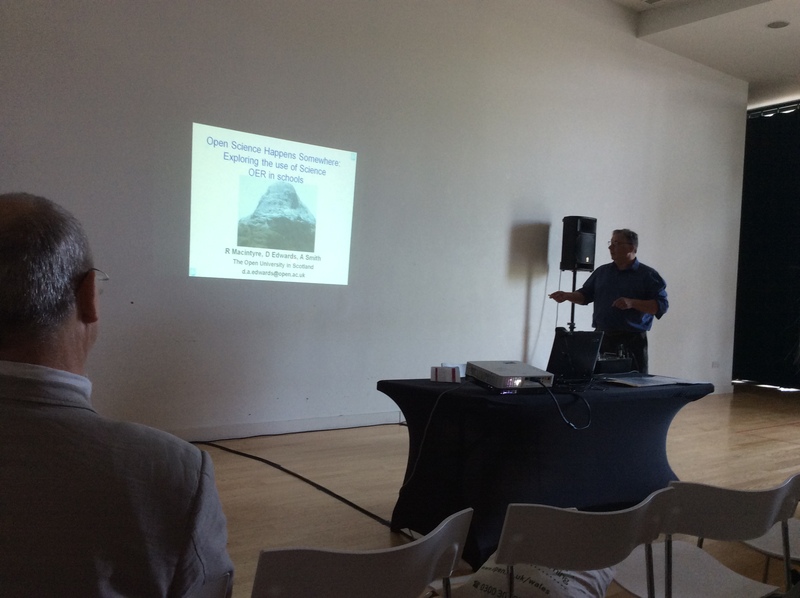 We also felt it might be about models, and wondered whether the TU ULR focus on collective learning might provide an extra dimension to the use of free open and online materials, enabling the benefits of free open and online materials to be experienced more widely. With SUL we agreed to attend each of the area learning forums in Scotland (n=8). We ran two workshops at each venue, one series in June and one in October. During those we worked with just under a hundred ULRs. The first workshop introduced free and open material and pointed to some of the sites they might be using like Wikipedia or YouTube more generally and specific sites like OpenLearn, FutureLearn, Coursera etc. It then made use of a short bit of free and open video on Goffman’s theory of performativity and asked participants to reflect on the role of a ULR in light of Goffman’s “all the worlds a stage” (see Erving Goffman and the Performed Self) to explore the roles they perform and the different faces they might wear. People drew out some of the tensions noted earlier, between serving the needs of those distanced from education but being careful not to end up compensating for staff development policies and practices that did not meet the needs of employees – the ULR is not the HR Department. People also wondered about their role in relation to the values of the TU movement, while people might want “holiday Spanish” ought they actually deliver classes on employment rights. However, the most difficult discussions concerned the role ULRs perform in relation to educational materials. Some saw their role as collecting the data, putting in applications to the learning fund and organising rooms for paid tutors. Others felt they had a more pastoral role, exploring routes into learning, formal and informal, in small groups and facilitating learning opportunities. We gave them a series of scenarios and asked them to sketch out a more informal approach to what facilitating learning opportunities might look like. These scenarios focussed on informal learning with one asking them to consider how to facilitate a group exploring digital literacy, another looked at how numeracy and literacy issues affect use of online resources, and another was more political scenario looking at discourses on poverty and inequality in the mainstream media and how free and open content might help a facilitator to structure a discussion. The scenario’s allowed us to tease out the potential role of a ULR in enabling the use of free and open content, and also began to touch on the barriers. Not just workplace barriers around getting space and time to explore these issues, or even barriers to learners, but critically barriers for ULRs such as barriers based on their own confidence and ability to take on and develop an unfamiliar role. We closed by pointing to them a far from perfect online resource about how to use OpenLearn to facilitate learning. 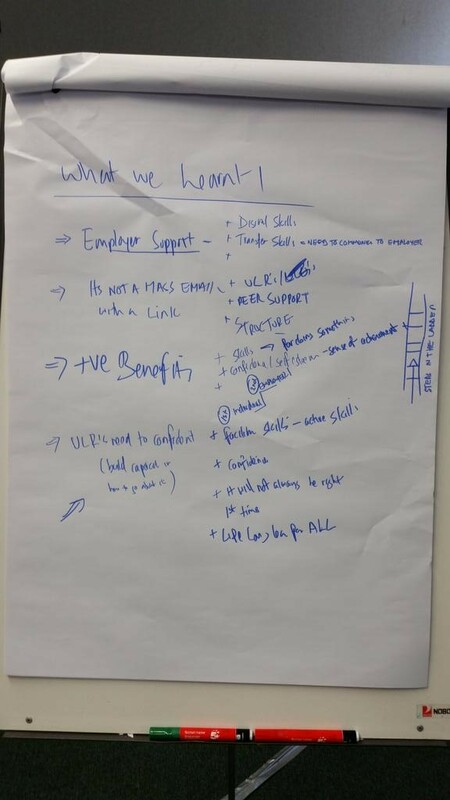 Then we waited, and in October we ran a series of follow up workshops, by this time we knew that most of the ULRs, despite good intentions, had not worked their way through the course or picked up a “Badge”. We decided rather than simply asking them to study the module we would use non participation to explore what enabled and what stood in the way of online learning. We asked people to draw out the peaks and troughs of their learning journey and their engagement with the resource. To think about why they never started, why they gave up, why they wanted to get to the end. Then take their personal experience of (non-)completion and reflect on what it had taught them about supporting others. For those in Widening Participation some familiar themes emerge, “life gets in the way”, it was “not for the likes of me”. Time was a big factor, as was structure, being able to study any time meant never studying, others missed support. Some thought about their peers who they knew were also doing it and wanted to finish it, some wanted a badge. Structure came up frequently, a sense that without a structure and a group of peers to interact with it was difficult to say motivated. Others talked about their own inexperience in this world and then extended it out to ask questions about how to effectively communicate the benefits of digital participation to learners. This stretched into reflections on how one might sell this to employers increasingly reluctant to provide time and space for learning. Others wondered about the role of the URL as a facilitator of learning, about whether they had the skills to facilitate learning. From these discussions emerged a sense of what an approach might look like: where a group of learners worked with a ULR to identify a subject area, looked for suitable free and open content. Where a ULR role was about facilitating the opportunity to discuss content. Creating a structure, finding space and time and working with the group to structure discussion. It was a facilitation role. We still have a lot of questions to address around how this is going to work and what support ULRs might require but we have a group of interested ULRs who want to work with us to develop our understanding of how collective approaches to learning in the workplace might broaden the socio-economic base of those using free and open educational resources. The aim of this free workshop is to introduce Union Learning Representatives in Scotland to how they can use open resources as part of their remit to support the engagement of their workplace colleagues with informal and formal learning opportunities. Participants are encouraged to reflect on their role and on methods for engaging their workmates and are introduced to a range of resources that have been developed to support their role. 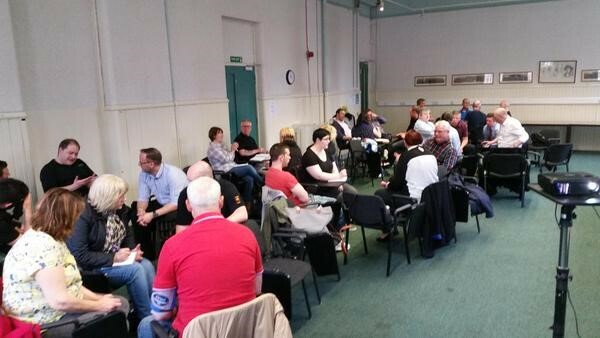 The workshop has been developed with Scottish Union Learning. Have explored some simple models of supporting individuals and groups in the workplace. Have been introduced to the support available through the Scottish OEP Hub ULR community and signed up for the forum. Be able to explain the differences and connections between informal and formal learning and give examples of each and what they offer. Understand the differences between OpenLearn, OpenLearnWorks and FutureLearn and what each offers them and their members. Be familiar with the idea of the new Badged Open Courses (BOCS) and the support offered through the Pathways to Learning pack. Have committed to studying the Badged OER ‘Open Learn: Learners Guide’ which is designed for people who have roles in supporting others into informal learning. Union learning representatives (ULRs), Workers Education Association (WEA) tutors and other workplace learning facilitators may find a new free online guide useful to help them signpost learning opportunities in the workplace to colleagues. 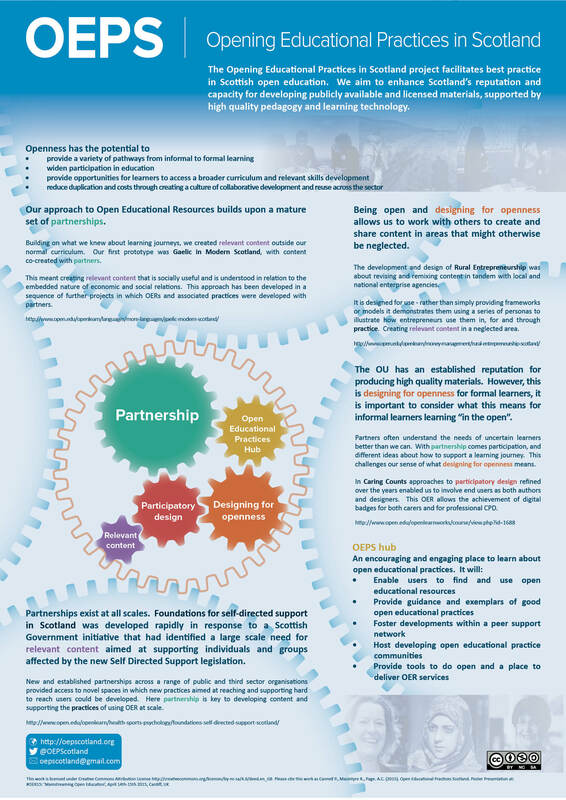 The OpenLearn Learner Guide for Social Partnerships Network helps facilitators develop skills to find relevant resources in OpenLearn which can be shared with work-based learners. OpenLearn contains over 11,000 hours of materials including more than 800 courses, interactive resources, videos, academic blogs and podcasts in a range of subject areas. It has several useful features to support online learning. The new guide provides familiarisation with OpenLearn opportunities in a step-by-step format and offers a badge for anyone who completes all the activities. The new OpenLearn learner guide has been developed by the Open University’s Centre for Inclusion and Collaborative Partnerships (CICP) and is hosted on OpenLearn Works, which is a free Moodle platform where anyone can create Open Educational Resources to share openly. Previous events hosted by OEPS are noted below. The materials from the events are openly licensed so please reuse, revise, remix and redistribute them (they are accessed via the links below). Please share back to @OEPScotland how you’ve reused them. ‘Thinking about open‘ workshops – half-day workshop exploring what openness and open educational practices are. ‘Developing open practice‘ workshops – full-day workshop introducing the concept of learning design and the learning journey, supporting participants to think how to use open educational resources in their own context. ‘The Porous University’ symposium (co-hosted with the University of the Highlands and Islands) – 2 day conference providing a critical exploration of openness, space and place in Higher Education. From August 2014 to July 2017 the Opening Educational Practices in Scotland project organised 77 workshops with colleges, universities, third sector organisations and trade unions. The workshop materials are openly licensed and can be found under the resources tab in the OEPS legacy collection. A number of other workshops were offered including open research, OER research, learning design and making OER and MOOCs accessible to all, however these workshops were less popular than those listed above.